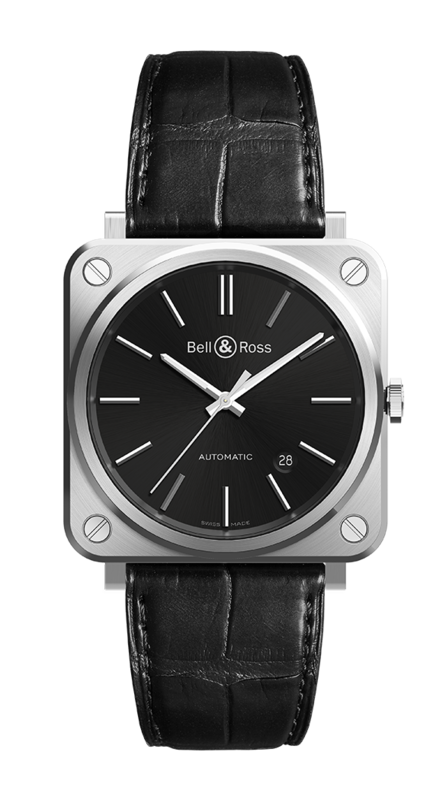 The Bell & Ross Club is open to all Bell & Ross enthusiasts, customers and others who would like to maintain a privileged relationship with the Brand. Movement: calibre BR-CAL.302. Automatic mechanical. Functions: hours, minutes, seconds and date. Case: 39 mm in diameter. Satin-polished steel. Dial: black. Metal applique indices. Metal skeleton Superluminova®-filled hour and minute hands. Crystal: sapphire with anti-reflective coating.